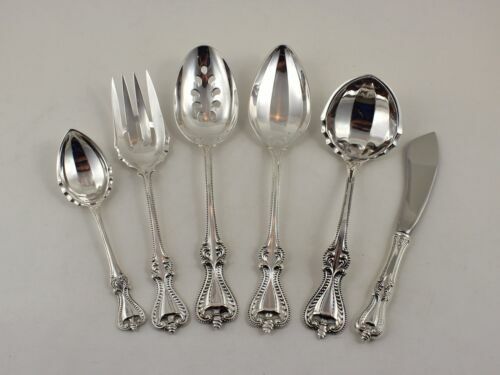 $13.0 Old Colonial by Towle Sterling Silver Demitasse Spoon 3 7/8"
$12.99 Old Grapefruit Spoon Set of 7 Original 5 3/4"
$225.0 Towle Old Colonial Sterling Silver - Set 6 Orange Fruit Spoons - No Mono 5-7/8"
$429.0 Old Colonial by Towle Sterling Silver Trout Knife Set 6pc. 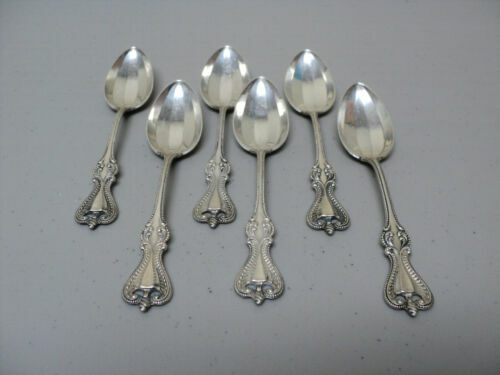 HHWS Custom 7 1/2"
Buy: $420.0 Theodore B. Starr "Old Colonial" sterling soup spoons. 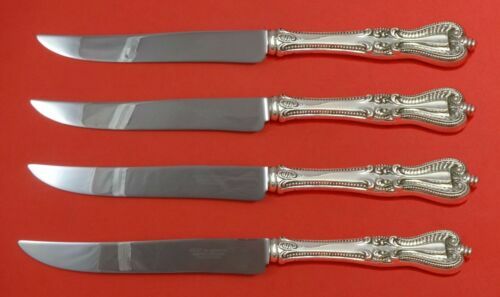 12pc with wrap. 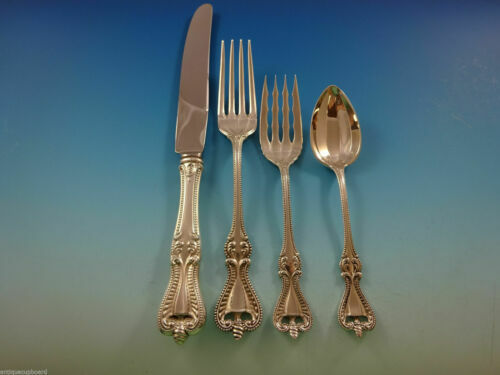 Buy: $175.0 6 TOWLE OLD COLONIAL STERLING SILVER TEASPOONS,MONO "S" ,EX COND, C1895, 5 1/2"
$229.0 Old Colonial by Towle Sterling Silver Fish Fork Not Pierced 6 3/8"
$209.0 Old Colonial by Towle Sterling Silver Lettuce Fork 9 1/2"
$799.99 OLD COLONIAL-TOWLE STERLING VEGETABLE SERVING SPOON-10 1/4"
Buy: $605.0 Towle Old Colonial All Sterling Fish Server 11 1/2"
$359.0 Old Colonial by Towle Sterling Silver Lettuce Spoon 9 3/8"
$206.25 Set of 64 Rogers Bros XS Triple Silverplate Flatware, Pattern Old Colony. 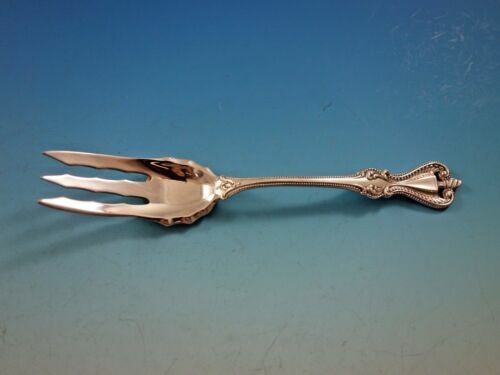 $28.99 Old Colony Silverplate Demitasse Spoons Qty.6 No Monogram NICE! 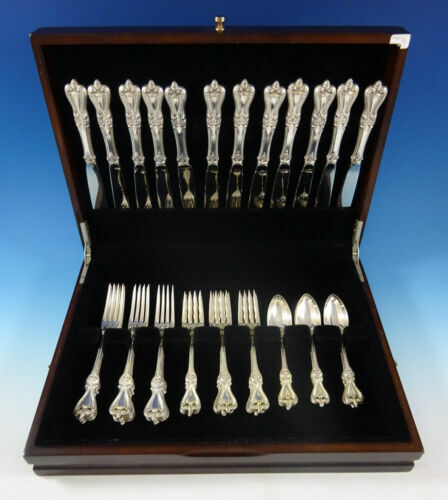 $189.0 Old Colony Old By Gorham Sterling Silver Salad Serving Fork 8 1/2"
$3999.99 Old Colonial by Towle Sterling Flatware Set Service for 12-112 Pieces REDUCED!!! 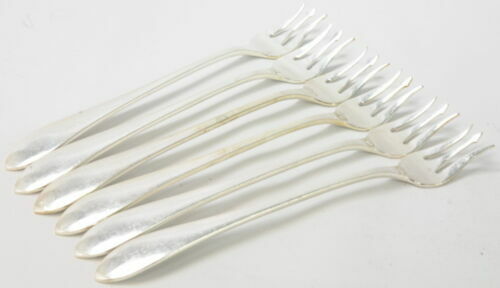 $189.0 Old Colonial by Towle Sterling Silver Pickle Fork 3-tine Old Style 6"
Buy: $169.99 2 TOWLE OLD COLONIAL STERLING SILVER FLAT HANDLE BUTTER SPREADER 5 3/4"